Greetings from Kym... Hello and welcome to the first Dunlop’s Diary for 2019! We hit the ground running for what will be another eventful year. Fundraising for our charity, the Stroke Foundation, continues with events such as our trivia night in late February. Our philosophy of kindness and safety continues to be our mantra. We all want to ensure that Weary Dunlop is a safe place where we respect and care for each other. A note from... Hello, we hope you had a fantastic break with your friends and family. The year promises to be a busy one and we’ve already had great events, including our informative Enduring Power of Attorney and Selling Your Home. We hope to see you at other presentations! We have a beautiful independent apartment with a lovely view over the bowling green and in close proximity to the lift. And if you need a little more assistance we have a gorgeous serviced apartment which I would love you to see. It certainly feels like there is more market activity now that Christmas and holidays are behind us. The village gardens are looking better and better. Be sure to come in and say hello. Children’s party! The fountain of youth washed over the village when more than 80 little ones burst through the front doors for the annual Children’s Party. The residents were joined by children, grandchildren and great-grandchildren in glorious sunshine for the celebration. Little ones enjoyed lolly packs, fairy floss, icy poles, hot dogs, and were entertained by a jumping castle and a petting farm. Village Manager Kym Faulkner said the day was a huge success. “The kids had a wonderful time, and you could tell the residents just loved having them here,” she said. Activities and Lifestyle team member Deidre MacGregor said the team received “amazing” feedback. “It was a perfect day,” she added. Pictured above: Precious family time. Right: A summer party with candy and pets. valuable philanthropic support they are providing to Melba Opera Trust and, most importantly, to Samuel and the future recipients of this perpetual scholarship,” Amy said. Samuel said the year ahead of training and performing will be hard work, “but it’s always so exciting and it’s such a joy to do what we do”. “I’m really excited to be associated with Ryman Healthcare and I’m really looking forward to heading out to Ryman retirement villages and sharing a few arias and duets with my colleagues.” Amy said alumni who have completed the program are now performing in major opera houses all over the world. 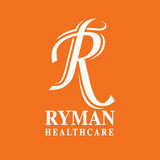 As part of the partnership, Ryman sponsored the creation of a scholarship in the company’s name. “This is the pathway and opportunity that the Ryman Healthcare Opera Scholarship will now provide to a deserving recipient each year. Melba Opera Trust general manager Amy Black said the scholarship will provide Samuel, a baritone, with a year-long program of intensive artistic development alongside business training, mentoring and performance experience. “We’re especially thrilled to be offering the inaugural scholarship in the same year that Ryman officially launches the Nellie Melba Retirement Village. for the eventual purchase of Bendigo Station. From droughts, weeds, gorse and rabbits to indifferent bureaucrats and meddling politicians, many battles were fought and not always won. The Perriam family story is a compelling one. “For me it was a nostalgic reminder of my roots in the nearby North Otago high country.” This is a book for rural and urban dwellers alike. For me it was a nostalgic reminder of my roots in the nearby North Otago high country. It is also an insight into the lives of those who work with and care for our land and country, a blue print on diversifying and a connection with the past for us all. John Perriam’s prose is easy and uncluttered, with the pages full of accurately drawn high country characters and the sometimes cruel events impacting on the lives of his family. 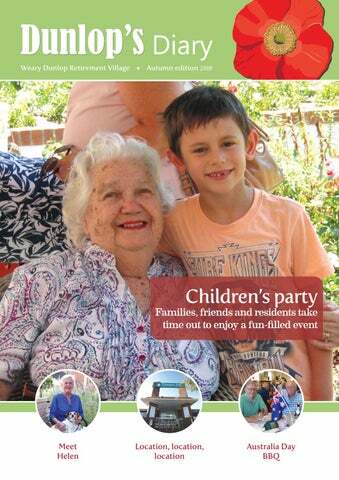 Reviewed by Phyllis Thorby Edmund Hillary Retirement Village. Melbourne bowls challenge Ryman supports trans-Tasman bowls excursion A group of Charles Upham village lawn bowls enthusiasts have made the most of a trip across the Tasman making friends and enjoying some Ryman hospitality in Melbourne. The group of bowlers and supporters from the Canterbury-based village took on some of the best from Australia at Melbourne greens located at the Glen Waverley Bowls Club, not too far from where Ryman’s Weary Dunlop and Nellie Melba villages are based. They won the right to represent Ryman having topped a South Island Ryman village competition held at Charles Upham village in November. The bowlers Barbara McJarrow, Bruce McCorkindale, Alan Pegley and Frances McDowell plus supporters Trevor McJarrow, Anna Armstrong and Gill Small flew out on Boxing Day and stayed in Australia until New Year’s Day. Ryman is a major sponsor of the Glen Waverley club and bowls carnival. Alan says the team competed on four of the five days in the open competition. “The calibre of competition was of a very high standard with many of the locals having represented Victoria and Australia,” Barbara says. “We won a few and lost more than we won,” Alan adds. There was the hot weather, and the longer and slower bowls greens to contend with too, Bruce says. Two days saw temperatures in the mid-30s, with more than 150 players at the club to contend with the sweltering conditions. The thermometer reached 36.4 degrees on the first day. Between them the group members have been bowling for a considerable number of years and have watched changes in the game including more modern bowls running on a ‘tighter draw’, meaning they don’t have to be played so wide. Nowadays the events are social, colourful and regularly held at most Ryman villages. Gemma wins the Cashin Scholarship Gemma Ballantyne’s year has got off to the best start possible thanks to the 2019 Cashin Scholarship. Gemma has opted for a pharmacy degree after her first year, which adds another four years at university followed by an internship. Gemma, 18, will use the scholarship to fund her pharmacy studies at the University of Otago in Dunedin. Gemma’s looking forward to starting back at university and says the scholarship will be a big help with a busy year of learning ahead. She was thrilled to get the news. “I’m thrilled to win and I’m honoured that the Cashin family selected me,” Gemma says. “I’m thrilled to win and I’m honoured that the Cashin family selected me.” “It’s awesome to win. It means that it will ease the financial stress this year and allow me to focus on my studies so that I can be the best that I can be.” Gemma has been part of the Ryman family since 2016, when she was a part-time receptionist at Anthony Wilding Retirement Village in Christchurch. “I’m really grateful.” Blair Cashin, Mike Cashin’s son, said the family wished Gemma all the best with her studies. There were 100 applicants this year, a record for the scholarship. She says she loved the job from the very start. “I was 16 and it was my first job and I couldn’t have had a better place to work. I loved talking to the residents, they were always interested in what I was studying and it was like having 200 grandparents.” In 2018 she began her first year at university, studying health sciences at Otago University. She worked at Yvette Williams Retirement Village in Dunedin part-time to support herself. The Cashin Scholarship was established to honour the memory of former Ryman director Mike Cashin. Mike was a strong believer in the power of education to change lives and was a great advocate for Ryman Healthcare and its staff. The scholarship is designed to provide a helping hand to members of the Ryman family who are taking on tertiary study. Each year the Cashin family help select the winner of the $5,000 grant, which is intended to help with study costs. I was amazed at the way fellow residents and staff responded. “The whole community rallied around me.” I saw Weary Dunlop’s maintenance man sitting in a pew at Geoff’s funeral, proudly wearing his Ryman uniform. I then knew “care and kindness” here, was more than an advertising tagline. Not long after Geoff’s passing, I once again felt the warm embrace of the village. A health issue made it difficult for me to take Buddy for his four walks a day. Friends quickly put together a roster to help me. Now, two years later, Buddy is still enjoying his long morning strolls with residents Bill and Wayne three days a week. Country Club are all within easy walking distance. With four large shopping centres, Jells Park, the Eastlink freeway and the beautiful Dandenong Ranges all just a short drive away Weary Dunlop could not be better placed. Pictured: The grounds of the nearby Monash Gallery of Art. Recently our care centre residents visited Brighton beach. Everyone enjoyed the sunshine and during the afternoon we stopped for tea and lemonade icy poles. It was a fantastic day out and about. Our care centre residents were delighted to welcome a great entertainer who sang some lovely tunes during one afternoon in January. Several residents clapped and sang along to classic tunes. Pictured: Resident Margaret Williams with her youngest sister Evelyn. Pictured: Care resident Valerie Eastwood with entertainer Steve Van. Introducing Deidre Deidre MacGregor is always in the thick of the fun at Weary Dunlop. The activities and lifestyle coordinator for independent apartment residents is part of the team that ensures there’s always plenty to do at the village. I love helping the residents and cooking healthy food for a healthy mind. Across: 1. Beagle, 5. Biceps, 10. Impulse, 11. Stamina, 12. Danger, 15. Carbon, 16. Year dot, 17. Reef, 18. Heir, 19. Soldier, 20. Sear, 22. Fast, 25. Ashamed, 27. Morose, 28. Detain, 31. Longing, 32. Bedside, 33. Gently, 34. Yonder. Down: 2. Expense, 3. Galley, 4. Even, 5. Best, 6. Cravat, 7. Pliable, 8. Finder, 9. Banner, 13. Remorse, 14. Gradual, 15. Covered, 20. Simple, 21. Arrange, 23. Avarice, 24. Tanker, 25. Assist, 26. Deaden, 29. Ugly, 30. Obey. Timothy Garlick This makes a delicious finger food as it’s small and easy to eat. It’s always a big hit with everyone and you can change it up and serve it as an entrée or dessert. This is on the menu at Jane Mander Retirement Village and the residents absolutely love it! • Preheat oven to 180˚C. • Bring water to the boil in saucepan, add butter and stir until melted. Sift in flour and salt, and mix with a wooden spoon over a low heat until the paste starts to dry out. Allow to cool. • Place paste in a bowl and beat in eggs, one at a time, mixing really well after each egg is added. • Place tablespoonfuls of mixture onto a tray lined with baking paper. Bake for 20 minutes. Cool profiteroles on a wire rack. • Put the raspberries, icing sugar and lemon juice into a food processor or mini blender and blitz until smooth. Press through a sieve into a bowl. • Whip the cream until stiff, then fold in 4tbsp of the raspberry sauce. Spoon the filling into a piping bag and make a hole in each profiterole. Make sure the profiteroles are cool before piping in the filling. • Break up the chocolate into a small bowl and melt in the microwave on low for 1½-2 mins. Leave to cool briefly until slightly thickened. • Carefully spoon the melted chocolate over each filled profiterole and sprinkle with pistachios. Leave to set. To serve, drizzle the remaining raspberry sauce over the profiteroles. Savoury filling • Fry the diced bacon and place in a bowl to cool. Add the diced chicken with the sour cream, mayonnaise and spring onions. Slice the top off the puff, add the filling and put the lid back on top. • Serve with your favourite chutney. Celebrating Australia Day Weary Dunlopâ&#x20AC;&#x2122;s village centre was transformed into sea flags, patriotic costumes, banners and decorations as residents celebrated Australia Day with a traditional Aussie barbecue. They enjoyed a sausage sizzle with a side of salad, before having their true-blue credentials tested by an Australian trivia quiz. Kym Faulkner Village Manager Ph: 03 8545 1400 Call Kym for general enquiries, or information about low care, high care, specialist and dementia care. The Weary Dunlop singers then led a singalong of classic Australian tunes, which got the patriotic juices flowing among residents and staff alike. With everyone getting into the spirit of the occasion by donning their favourite Aussie garb, it was another wonderful village celebration. Above: Susan and Colin Dickie enjoy a special day. Liz Battersby & Kay Jeffs Sales Advisors Ph: 03 8545 1403 Talk to Liz or Kay for information about independent apartments or serviced apartments.